Pain Alliance Europe > PAE News > Survey > ICD-11 SURVEY – What do patients think about it? PAE partners with the University of Marburg, Germany to bring to patients and organisations members of PAE a new possibility to make their voice heard. We would like to hear more about your views on the new chronic pain diagnoses as defined by the new edition of the ICD classification, ICD-11. We invite you to take part in a survey. 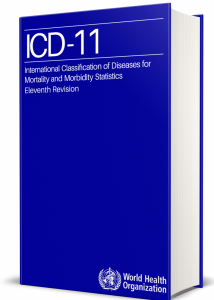 The survey includes a brief video explaining the new diagnoses and allows you to form an opinion on the changes between the two editions of the ICD standard . Please tell us what you think. The aim of the survey is to learn more about your views on the new ICD-11 classification of chronic pain. What do you expect of it? Do you think it will be helpful? All data are collected anonymously. Your opinion as someone who lives with chronic pain is very important to us!